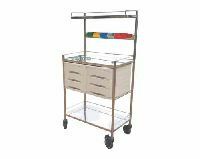 For Sickroom Nursing. 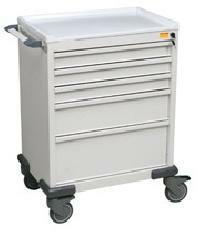 Size: 650 × 420 × 1020 mm 6 lockable multipurpose drawers. 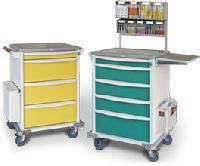 Adjustable medicine boxes in each drawer. With waste bin on each side. 4 Swivel castor all with brakes. 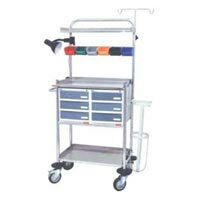 Medical Cart is characterized for storing lifesaving equipment that is easily movable and readily accessible into all sides of the cart for quick viewing. 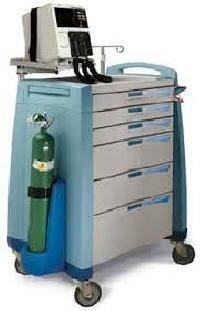 We are one of the leading Exporters and Suppliers of Medical Cart from Delhi, India. 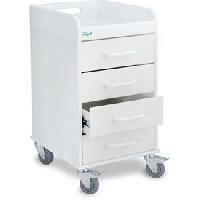 We procure Medical Cart from the trusted sources of the market. 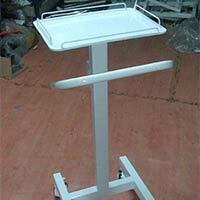 One can place retail as well as bulk orders for Medical Cart with us. 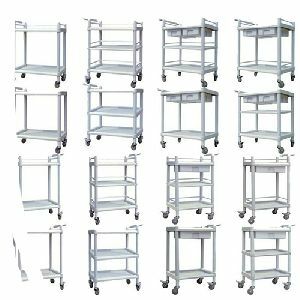 SS tubular framework mounted on four swivel casters 125mm Ø.The top drawers have containers of different size.All pipes and sheets are 1.22mm (18 SWG) thick, which it makes rigid & sturdy Hospital Furniture Medical Equipment Medical Furniture. 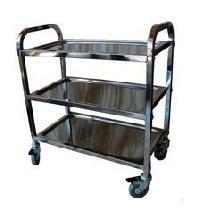 We are offering medical carts. 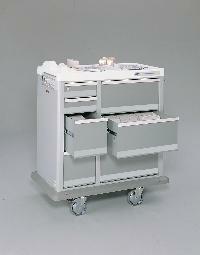 Crystal Lead Consultancy Pvt. Ltd. 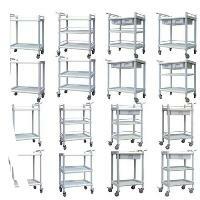 The Acetech Machinery Components India..